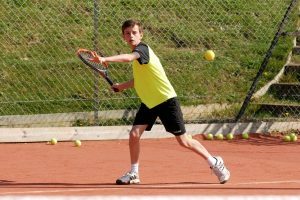 Evolution is an award-winning tennis coaching company headed up by LTA Kent Coach of the Year Dave Von Ribbeck. My own Mudlets have tried it and loved it – and so did I because it got them having fun out the house and out of my hair! 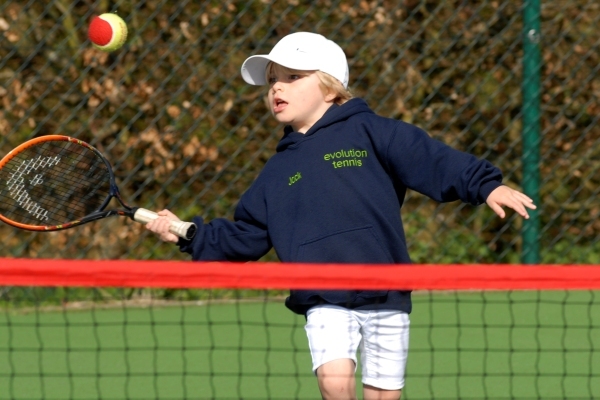 Evolution is an award-winning tennis coaching company headed up by LTA Kent Coach of the Year Dave Von Ribbeck. The close-knit team, run both group and private coaching for all ages and abilities, at their five Kent based clubs; Brenchley, Marden, Iden Green, Paddock Wood and the most recent addition, Tonbridge. 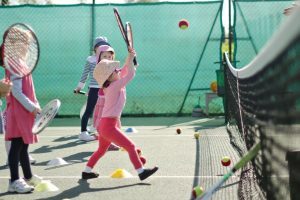 They also provide term time clubs at a number of local prep, independent and primary schools, and junior holiday camps throughout half terms and hols. 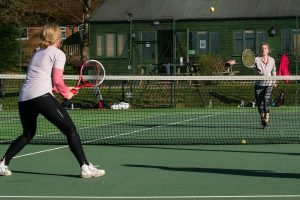 There is something for everyone, from indoor pre-school tennis tots, junior and adult coaching from beginners to those wanting performance coaching, tournaments, and even cardio tennis with a highly qualified team who will whip you into shape. Their strong reputation has been built primarily on word of mouth and recommendation. The aim is to help each and every player be the best that they can be, it is about their own personal growth, development and success. Building strong relationships with clients, and teaching principles built on confidence, movement, listening, support….but the absolute most important aspect is…FUN! They are passionate about what they do and bringing happiness and that feel good factor to everyone who joins them on court. Go along and see for yourself, what makes Evolution Tennis so different.